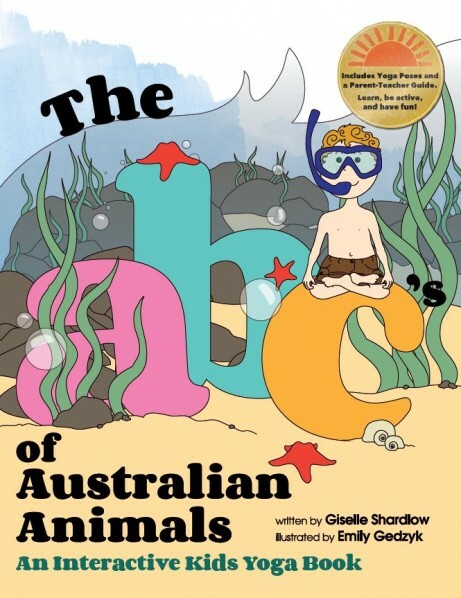 If you’ve been reading this blog for a long time, you know that I LOVE the books from Kids Yoga Stories written by Giselle Shardlow. I have always used storybooks in kids yoga classes, and now we are so lucky to have yoga-themed storybooks like hers! When you teach a lot of children’s classes, you realize that you don’t always have the energy to keep up with the kiddos. Maybe you have an injury, maybe you are under the weather, or maybe you’ve taught a million classes in a week, and you are SO tired. My solution is any book from Kids Yoga Stories! You read a beautiful story, and the kids follow along with the poses that are illustrated on the colorful pages of the book. It gives you a moment to honor how your own body is feeling, while still keeping the kids active and engaged. My favorite book right now is Rachel's Day in the Garden: A Kids Yoga Spring Colors Book. It is beautifully illustrated, and it has a timely springtime theme that incorporates all the colors of the rainbow. I used it today, while teaching at a Montessori preschool that had just planted its spring garden. First, I asked the kids to tell me what they planted in the garden. They were growing tomatoes, carrots, eggplant, cucumbers, and flowers. Lucky kiddos! After we talked about planting a garden, we planted our own yoga garden, by becoming seeds (Child’s Pose). We imagined the rain gently watering our seeds (Use your fingertips to mimic raindrops on their back). Then we sprouted into seedlings (Standing on your Knees). Finally we stood up to grow into our plants (Tree Pose). After this fun flow, we settled into reading Rachel’s Day in the Garden, and following along with the character of Rachel (and her puppy!) as she did yoga. Extended Mountain, Standing Forward Bend, Tree Pose, Warrior 3, Squat, Caterpillar, Hero Pose, Butterfly Pose, Flower Pose, and Savasana are all poses included in the storybook’s flow. The poses are sequenced well, and the story is sweet. Since the book includes Savasana, we transitioned nicely into relaxation time after reading the book. I guided them through a progressive muscle relaxation using “Tight and Soft” (from Imaginations 2), and then I read the “Rainbow Flower Garden” guided meditation (also from Imaginations 2). If my class had been longer, I would have had the kids plant a bean seed in a Dixie cup, or color a flower mandala. You can find out more about Rachel’s Day in the Garden, and all the books from Kids Yoga Stories here. You can learn more about guided meditations from Imaginations 2 here. Happy Better Sleep Month! This month we are having a Sleepytime Yoga Giveaway that includes several tools to help kids relax at bedtime or before relaxation in yoga. Prizes include Good Night, Animal World book by Giselle Shardlow, Imaginations 2: Relaxation Stories and Guided Imagery for Kids, and a bottle of Lavender essential oil. We are also reviewing the matching Good Night, Animal World Yoga Cards. Fun fact: Good Night, Animal World was the inspiration behind the “Nighttime Animal Adventure” story in Imaginations 2! Description: Say good night to the animals of the world at bedtime with these yoga cards to match the book, Good Night, Animal World (previously reviewed here). Match and sort thirteen calming yoga poses for kids with their respective animals. Age group: Toddler, preschooler. Ages 2-5. 1. The 3x5 Notecard size is small enough and light enough to keep in my yoga bag as an emergency “Oh No I Have Nothing Planned” Activity. 2. The Index Card has a list of the poses in order from standing to relaxation as well as a color coded key showing the animal/yoga pose pair. 3. Calming poses are sequenced well from active to relaxing yoga poses. They are all good poses to settle before bedtime or before relaxation time. 4. The cards can be used individually, in a series, or as an animal matching game. 5. They come in a sweet, mesh bag that keeps them together, but visible. As a yoga teacher, I think you will LOVE these cards as an addition to your classes. As a parent, I think you will LOVE how fun these will make bedtime. Enter the May giveaway to win Good Night, Animal World book, Imaginations 2, and Lavender oil here. As a kids yoga instructor, I find Giselle’s Kids Yoga Stories invaluable. Her book is fun, the pictures are colorful, and each page has a corresponding yoga pose, making it really easy to use in a children's yoga class . If you are a parent, you will love keeping your kids active and healthy while reading them a story. The book includes a guide for parents and teachers that gives tips on using yoga with kids. Thank you, Giselle, for another great kids yoga resource! 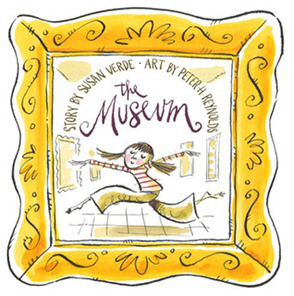 Susan Verde’s The Museum is one of my new all-time favorite children’s books. The illustrations by Peter Reynolds are colorful watercolors that include clever reproductions of famous artwork, like The Scream by Munch and The Starry Night by Van Gogh. The story is about a girl that goes to an art museum and is inspired by each piece of art she sees. She interacts with each piece of art in a different way- dancing, twirling, and making silly faces. Then she comes to a blank canvas, and after closing her eyes, she fills the white space with all the colors and magic she sees in her imagination. Susan is a children’s yoga instructor, and that comes through in her book. There are lots of opportunities to integrate creative movement and yoga, and the book also empowers kids to tap into their own creativity. Yoga can boost creativity, so this book is a perfect way to transition from an active yoga session to an art activity. Thank you, Susan, for a fun and colorful addition to my library! Top Storybooks for Kids Yoga- Poll Results! Here are the results of the poll with OMazingKids.com and KidsYoga101.com! 1. Sophia's Jungle Adventure by Giselle Shardlow 2. Anna and Her Rainbow Colored Yoga Mats by Giselle Shardlow 3. From Head to Toe by Eric Carle & Peaceful Piggy Meditation by Kerry Lee MacLean 4. The ABCs of Yoga for Kids by Teresa Anne Power 5. Moody Cow Meditates by Kerry Lee MacLean & Alexander and the Terrible, Horrible, No Good, Very Bad Day by Judith Viorst 6. The Lion and the Mouse by Jerry Pinkney, It's a Tiger by David LaRochelle, The Three Questions by Jon Muth, Zen Shorts by Jon Muth, The Dot by Peter H. Reynolds & Storytime Yoga: The Treasure in Your Heart by Sydney Solis. I don't know about you, but I'm excited to have a new list of fun books that compliment kids yoga. I'm also looking forward to reading these books and writing relaxation stories inspired by their themes and stories. 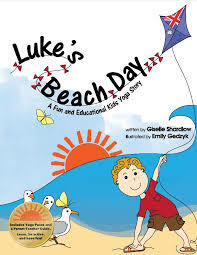 "Luke's Beach Day, by Giselle Shardlow at KidsYogaStories.com, teaches children's yoga and environmentalism with a sweet story and easy-to-follow yoga pose pictures on each page. The story follows Luke and his friends at the beach, discovering sea life, boats, and litter! Luke is bothered by the trash and makes sure to put it all in the garbage can, setting a good example and teaching readers to do the same. The book includes a list of all of the poses used in the book, including Kangaroo pose (fun!) and Sun Salutations. There is also a list of tips that are helpful for people who have never done yoga with kids (it is definitely different than doing yoga with adults!). I love all the books from Kids Yoga Stories, especially this one that has the corresponding poses listed on each page. I love that as I read a story to my classes, the kids automatically go into the poses that they see in the top corner of the pages. It is much easier than trying to hold a book and to demonstrate a yoga pose at the same time. Giselle Shardlow has created another invaluable resource for parents, teachers, and kids yoga instructors wishing to share yoga in a fun, healthy, and eco-friendly way." I think it's a great book for kids yoga classes (enter the giveaway below! ), so I've put together a lesson plan using it (this lesson plan was originally created for an OMazing Kids lesson plan constest last year). The lesson plan (below) includes a story from Imaginations: Fun Relaxation Stories and Meditations for Kids, too! Imagine you are walking on the beach. Is it wet or dry? When you find your perfect spot, spread out your towel and lie down in the sand. Feel the warm sun on your skin and a cool, refreshing breeze. Listen to the sound of the waves. A wave comes into shore, and then the wave moves back into the ocean. Now, put your hand on your belly. Feel it rise up when you take in a breath, and feel it fall down when you let out a breath. Up and down, in and out. Enjoy lying here feeling your body relaxed at the beach. So now you are probably REALLY excited to have a copy of Luke's Beach Day of your own! 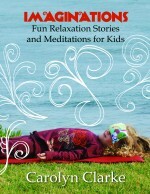 Enter the giveaway by Friday, August 2nd, 2013 at midnight PST to win a copy of Luke’s Beach Day and Imaginations: Fun Relaxation Stories and Meditations for Kids. Must be 18 years or older with a valid e-mail address. Employees or family members of Bambino Yoga are not eligible. Comments submitted via Rafflecopter may be copied & pasted into the blog posts on KidsYoga101.com, ImaginationsForKids.com, or Bambino Yoga.com. The winner will be chosen via a drawing of valid entries on Monday August 5, 2013. The winner will receive Imaginations: Fun Relaxation Stories and Meditations for Kids and Luke’s Beach Day. Luke’s Beach Day will be shipped separately by Kids Yoga Stories. The winners will be notified via e-mail, will be posted on the blog posts & will be posted on the ImaginationsForKids/Bambino Yoga Facebook page. Legal Info:This giveaway is in no way sponsored, endorsed or administered by, or associated with Facebook or Rafflecopter. You are providing your information to Bambino Yoga, not to Facebook. The information you provide will only be used for our internal purposes in relation to the administration of the giveaway. Your information will NOT be sold to any outside parties. Indemnification/Hold Harmless: By participating, entrants agree: (a) to the decisions of Bambino Yoga which shall be final in all respects; (b) to release, discharge, and hold harmless Bambino Yoga and its respective representatives and agents from all liability, injuries, losses or damages of any kind to persons or property resulting in whole or in part, directly or indirectly, from the acceptance, possession, misuse or use of a prize, or from participation in and/or entry into the Contest or any Contest-related activity and for acceptance, delivery, or use of any prize; (c) that the foregoing parties have neither made nor are in any manner responsible or liable for any warranty, representation or guaranty, expressed or implied, in fact or in law, relating to any prize. Your Vote Needed to Break the Tie in the Storybook for Kids Yoga Poll! Last month, OMazing Kids and KidsYoga101.com hosted a poll and to find out the top 10 storybooks for yoga. See all those question marks? We need your help to vote for the remaining 9 of the top 10 books! Please vote in the form (below) or here by midnight PST, Friday July 19th, 2013. Enter here: We're having a Rafflecopter giveaway! The winner will receive a copy of Imaginations: Fun Relaxation Stories and Meditations for Kids and Good Morning Yogis by Cate Stillman. Read the review of Good Morning Yogi's Here. I love this sweet book on an Ayurvedic morning routine for kids- Good Morning Yogis Big and Small by Cate Stillman. This book will be helpful for teaching kids helpful morning habits, but it will also be a good reminder for adults to have a healthy morning routine other than a shower and a cup of coffee! The pictures are cute, and each section has kid-friendly verbiage on the left, and then a page on the right for adults with more detailed information. I think this is a good way for kids to be interested in the book without having all the factoids get in the way. There are a few recipes, too. I tried the Green Smoothie recipe, and it was delicious. I sometimes find Ayurveda confusing, so I like the simple, whimsical approach that Good Morning Yogis Big and Small has. It is 8 ½ x 5 ½, 18 pages, and retails for $6. Check out the author's website for bulk deals. 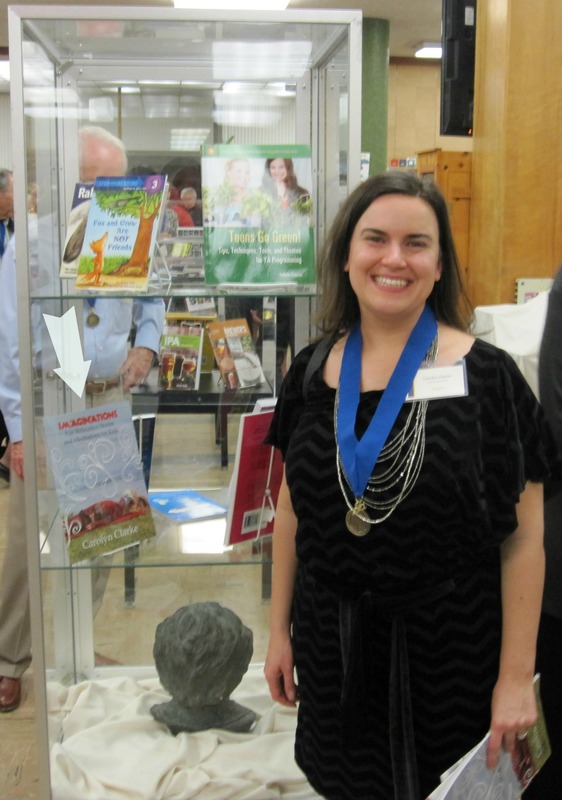 I was honored to be part of the San Diego Local Authors exhibit. My book is enclosed in glass in the San Diego downtown library, along with a few hundred other local authors' creations. All the authors gathered for a reception and to accept an award. This seems like a great thing, right? It's funny how fear works. Sometimes it's good- your fear might get you out of a dangerous situation. Other times it may be completely irrational. I was scared to go to this author reception, alone, where I knew no one. What was I afraid of? I don't know, really. I guess the usual.. What if no one talked to me? What if no one liked me? What if I did something that made me look stupid? What should I wear? Ironically, I had anxiety about accepting an award for writing a book on relaxation! So to help me face my fear of walking into a big reception alone and unknown, as I was driving to the reception, I thought through some of the stories in my relaxation book, Imaginations. I took deep breaths, and I walked in relatively relaxed and calm. I ended up meeting many interesting authors and learning about a ton of local books. I am an anxious, worrier. Sometimes I feel like a fraud for writing a relaxation book. BUT, I've realized that it's a good thing that I truly have to WORK at staying relaxed. I have to remind myself to breathe deeply. I have to do yoga. I have to tell myself that it is going to be okay, and I have to actively picture a "happy place" . Each of the stories and techniques in my book have actively helped me, so I know they work, and I know that they can help an anxious, worried, or fearful child too. Mountain Pose- Abby Willis has written a blog post called Yoga Poses for Kids: A powerful asana for soothing fear. It's a sweet way to address fear in Mountain Pose. Warrior Pose- YogaKids Brave Warrior with Affirmations: "I am BRAVE"
I find that when I am scared, I contract my chest, so any chest-opening, heart opening yoga pose would be helpful. Like: Camel pose. Sun Salutations or any Vinyasa flow- I find that when I get my body moving, the fear dissipates. It's like it burns off... 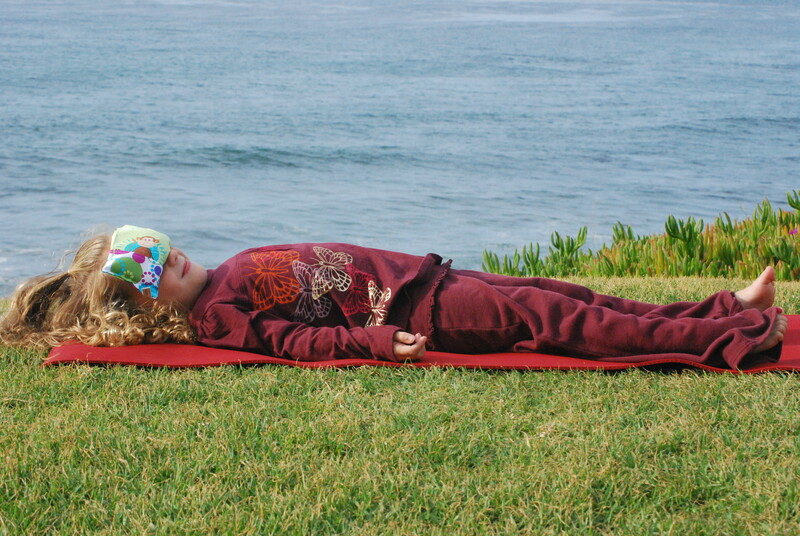 Here We Are Together has a cute collection of pictures of a child doing Sun Salutations. Breathing exercises- Slow calming breaths are great for facing fears. Try breathing with a Hoberman Sphere. Open it big and tall when you breathe in and close it when you breathe out. Guided Relaxation- Reading a relaxation story, or "going to your happy place", can help calm your fears. Check out the Freebie section for a relaxation story here. Announcing My New Children's Relaxation Story book!!! A collection of read-aloud relaxation stories for kids accompanied by guided imagery that allows them to close their eyes, imagine, relax their bodies, and focus their minds. Life changes such as moving, divorce, changing schools, etc. Wildly imaginative and full of whimsical joy, Imaginations: Fun Relaxation Stories and Meditations for Kids imparts to children a life lesson as important as any other they will ever learn: relaxation makes your body feel good, your mind calm, and it's fun! Purchase this gift for your children, grandchildren, neices, nephews, students and any other children in your life here. Use them to have kids do breath work. Put them on the ground and blow them, or blow at them through a straw. My preschool kids go bananas for these! 2. Bubbles - Great breath play, and you can usually get a package of bubbles at a party supply store or at Oriental Trading Company. 3. Paper plates- A paper plate can be a steering wheel in Car Pose, a shell in Turtle Pose, a plate in Table Pose, a sun for sun salutations, a dish of milk in Cat Pose, a bowl of Dog Food in Dog Pose, and on and on… Decorate them with markers as a fun craft- make your own mandalas. For less environmental guilt, get them at Whole Foods where they are biodegradable or recycled. 4. Easter Egg Shakers- Take large dried lima beans and put them in plastic easter eggs- viola! Musical egg shakers to dance and move with. 5. Tulle- A long streamer of tulle (sp?) is a fun dance streamer. Fun for music and creative movement. 9. Nature- Go on a nature walk at the beach, in the woods, etc. Gather anything that you might want to use in a yoga class as a prop. Rocks are fun focuses for balances and can be used to create worry stones or inspirational paperweights (decorate with words like “peace”, “love”, “Namaste”.) Or simply gather some flowers, feathers, driftwood, etc that would make a nice altar for the class. Of course, be respectful with what you take and use… Also, a bouquet of gerbera daisies are one of my favorite props. They cost only a few bucks, and can be wonderful for gazing meditations, or a gift at the end of a yoga class for each child. There is something magical about yoga and fresh flowers combined! 10. Stickers- Print your own or find fun packs. Use them as rewards at the end of class, as focus points for balancing, or use them on hands and feet for right and left. This book has several topic-based chapters filled with advice, scenarios, quick summaries, and even cartoons. I have found many of the recommendations helpful, so here are some bits and pieces from the book and how I have used them in class. I am always looking for ways to get children in class to cooperate. Although the book gives many ideas that are particularly helpful for parents, the suggestion that I have used most as a teacher is to say what you are asking for in a single word. I get tired of hearing my voice explaining to the same kid over and over that they need to participate with the rest of class, go back to their mat, etc… So now, when I feel like I have repeated myself over and over to Little Johnny, I say, “John… Mat…” and I point his mat. It’s been helpful, and it has kept me from going hoarse. This book also has a chapter on punishment alternatives. My favorite is giving the child a choice. “You can do yoga poses with the rest of the class or you can sit out and Take 5. You decide.” Another suggestion is to state your behavior expectations. “I expect you to walk to a mat quietly and sit in Pretzel Pose until class starts.” This has worked well for me when I am talking to the whole group instead of a single child. I particularly enjoyed the section in this book about encouraging autonomy. We have so many opportunities to do this within a yoga class. It suggests letting children make choices. (“When you grow from your seed become a flower or a tree.”) It also recommends showing respect for the child’s struggle. (“Tree Pose can be hard to balance in. Try standing next to the wall and using your arm for balance if you need to…”). Another suggested way to encourage autonomy is to keep from rushing in to answer questions. So if Susie asks a question you can say, “Hmmm… What do you think?” This also gives you a little more time to think if it is a particularly challenging or uncomfortable question. The book finishes with talking about how to get children to stop playing the roles in which they have been cast (by parents, teachers, etc.) I know that I’ve come to expect certain behavior from certain kids in my class, and they do tend to play the role of the troublemaker when I think that way. How To Talk gives lots of recommendations to help free kids from these roles. One way is to show the child a new picture of themselves- “You’ve been sitting quietly in Pretzel Pose after turning in your Beanie Baby.” Another is to put a child in a situation where they can see themselves differently- “John, can you collect all the ABC Yoga cards and put them in the basket?”. The book also suggests that you let children overhear something positive about them. I try to say something positive to a parent in front of the child if I have previously had some problems with them. This year I also read I wonderful book recommended to me by another YogaKids teacher, Heather Wurtzle. The book was Thank You World by Alice McGinty. Acting out carols- Like 12 Days of Christmas! I also always talk lots about peace- we send out peace to the whole world during December. Did you feel it? So, I know that it is probably too late to use most of these ideas, but save them for next year! I recently bought a Hugg-A-Planet. It's a giant stuffed earth. We had so much fun in yoga class with it. It was so inspiring to see each child hug it- it's like each child could grow up to save our hurting earth... It made me feel better that the world is in these fresh new hands. We also read Whole World and acted out the song with yoga poses. This book by Chris Corr and Fred Penner has great pictures and changes the emphasis from the traditional religious song of "He's got the whole world" to "We've got the whole world in our hands." This makes it more appropriate for a public school setting. A wonderful book for empowering children to take action and change the world. This book also has a CD so you can easily act out the song with yoga poses. Yesterday I taught a fun class at a summer camp at a Montessori school. The theme was the jungle, and we had such fun romping around like animals. We read Rumble in the Jungle by Giles Andreae. This is a great children's book about all the different animals in the jungle. We became Elephants, Chimpanzees, Zebras, Giraffes, and more. Lion was especially fun since we listened to the Lion Sleeps Tonight song.